Distributors wanted in Nigeria - A manufacturing company with head office in Lagos Nigeria is looking for distributors in different locations to promote its products to potential customers all over the country. 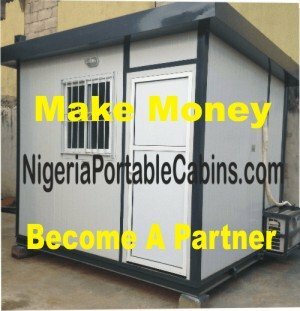 If you're someone looking for additional income opportunity Nigeria . . . a business opportunity that will give you the freedom to work at your own pace and time as well as have quality time for your family . . . then this distributor business opportunity is for you. Distributors wanted are people who are result-oriented and passionate about making a difference in the life of customers and in their own financial life. What can you earn with this distributor program? The good news is this . . . there is no limit to what you can earn. Distributors do not earn a salary. Instead, they buy the products at distributor price and then sell to customers at retail price. The difference between the selling price and the retail price is the distributor's profit. This particular distributor opportunity does not require distributors to keep large inventory. This means you don't need to buy large quantity of the company's products and stock them waiting for people to come buy them off you. In fact, this is the beauty of becoming a distributor with this manufacturing company with head office in Lagos Nigeria. You simply order one (1) product for display purposes and subsequent orders are funded by your customers. Yes, you can get your customers to fund the transaction once you have a product sample that impresses them. The higher your sales performance and the bigger that size of each contract, the higher your monthly and yearly earnings. This is just the right business opportunity for you! It's natural to ask yourself, "why should I take this advert for distributors wanted seriously?" Here's why you should take this distributor business opportunity seriously. 2. You do NOT need any academic qualification or experience level to join. You're welcome as a distributor if you're willing to sell. 3. You can fix your own price. Yes, you can sell at whatever price you want to your customers. And . . .
4. You determine your own earnings NOT anyone else because you are your own boss in this business. Want to partner with a trustworthy Nigeria manufacturing company? Want to earn unlimited income year in year out?